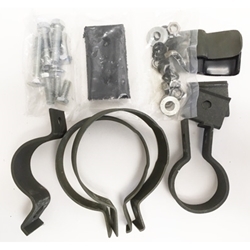 Kit, exhaust clamps round early type. Kit, exhaust clamps (round early side mount only). Includes hardware.